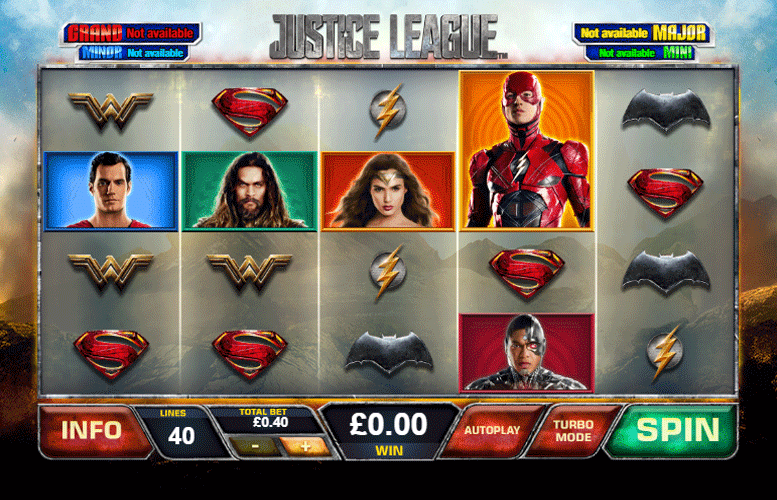 The Justice League slot from Playtech is a stunning example of a modern slot machine. It features loads of special bonus stages and a massive upper betting limit to appease the highest rollers. In terms of gameplay, there is a lot going for Justice League. It’d be hard to see all the game has to offer in a single visit and thus the replay value is very high. We struggled to find anything to dislike about this slot machine and that’s coming from a reviewer who doesn’t care a jot for comics or super hero movies. Loads of great game features. With so many additional rounds, the replay value is high on Justice League. High upper betting limit. Whilst players don’t have much control over how they spread their money out on Justice League, the £2,000 maximum bet is a nice addition. Solid look and feel. The symbol designs and music give Justice League a great atmosphere. Progressive jackpots. We love the opportunity to win truly life changing amounts. Subject matter might not be to everyone’s taste. 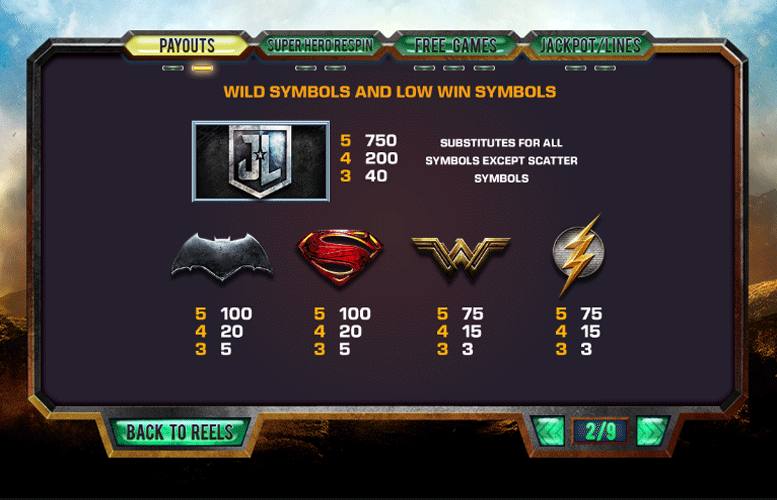 Justice League Logo (“wild”) = 750x the line bet. Superman = 400x the line bet. Wonder Woman = 300x the line bet. Aquaman, Cyborg, The Flash = 150x the line bet. Any single spin can trigger a super hero spin. During it, one of the positions on the game grid will be highlighted. Whichever hero lands within this square will turn symbols of that type into “wilds”. The best part is that the re-spin can be retriggered up to five times. This will turn all heroes into “wild” symbols making for some truly spectacular wins. The Flash = 15 Free Spins. Cyborg = 12 Free Spins. Aquaman = 10 Free Spins. Wonder Woman = 7 Free Spins. Superman = 5 Free Spins. Batman = 2 Free Spins. The Flash = Turns a super hero “wild” when their symbol lands in the features frame. Cyborg = Turns a super hero “wild” when their symbol lands in a feature frame. Also adds feature frame to another reel after a spin without a “wild” transformation. Aquaman = Turns all symbols of the same type “wild” when any symbol (expect “scatter” lands in the feature frame. Wonder Woman = Adds between one and five feature frames to the reels on every spin. This turns all super heroes who land in the feature frames “wild”. Superman = Adds a giant 2×2 feature frame to every spin. Turns all super heroes who land in the feature frame “wild”. Batman = Turns all super hero symbols “wild” when any super hero lands in the feature frame. Players should also note: Landing two “scatter” symbols will trigger three extra free games during any free games feature. This excludes Superman and Batman. 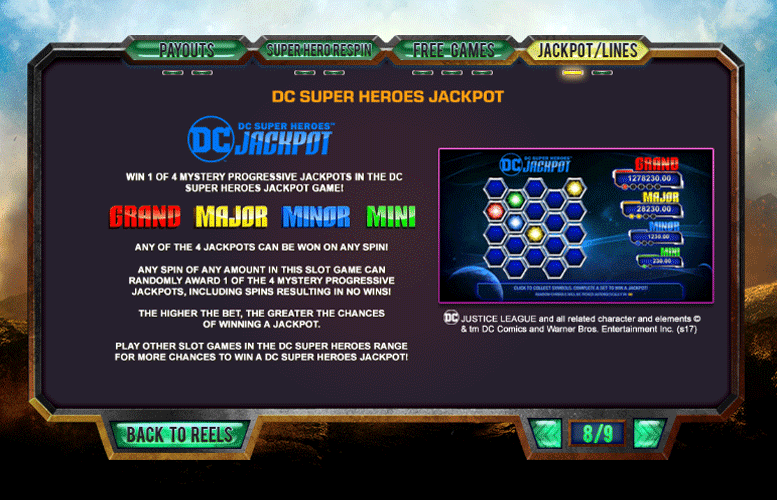 Players can win one of four mystery progressive jackpots from the DC Super Heroes Jackpot Game. Any of these can be won on a single spin of any value. However, the higher the bet, the greater the chances of winning a jackpot are. During the jackpot round, players select from a board of shapes. The goal is to fill up one of the jackpot meters. The highest prizes require more shapes to fill their meter. Players are also guaranteed to win one of the prizes every time they play the progressive jackpot round. Batman, or Superman Logo = 100x the line bet. 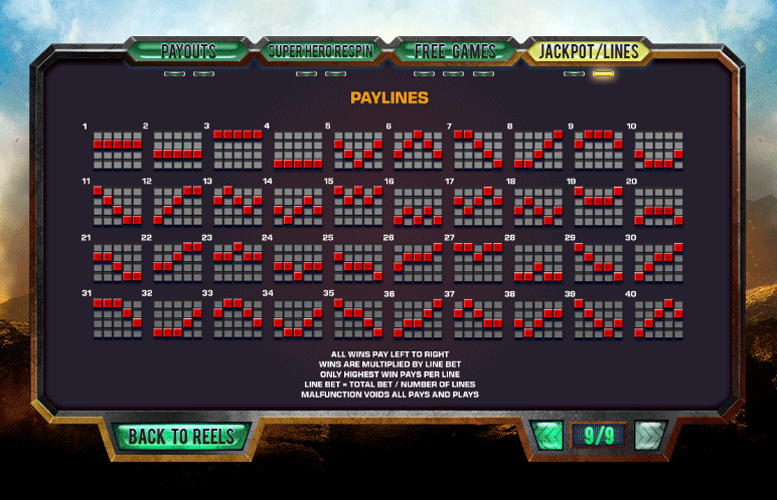 Wonder Woman, or The Flash Logo = 75x the line bet. 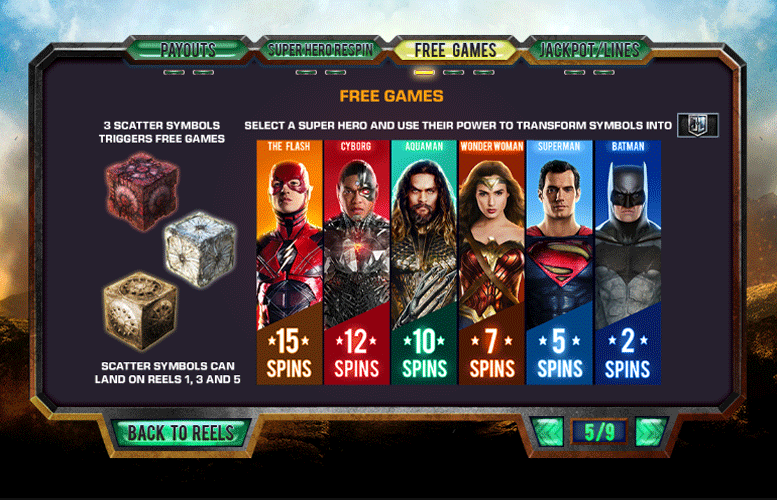 With its constantly varying gameplay features, high return-to-player rating, massive upper betting limit, and true to the original franchise’s artwork, the Justice League slot machine will delight all those iGamers who love DC Comics. For those who do not, the progressive jackpot, along with the myriad of bonus features will make it worth taking a few spins on the title. This game has a rating of 5 / 5 with 856 total reviews by the users.